A recent study by the University of Leeds which looked at the costs of owning petrol, diesel or electric cars over four years has shown that electric cars are actually cheaper when running costs are taken into account. In fact, pure electric cars bought in the UK in 2015 worked out to be 10% cheaper across four years than petrol or diesel cars of the same year. This is because electricity is significantly cheaper than petrol or diesel, whilst servicing costs for electric vehicles are minimal, as the engines are much simpler. The news isn't so good for hybrid cars, which are normally a little more expensive than either petrol or diesel cars. Plug-in hybrids fared worst of all, with higher running costs than any other vehicles. In the UK, sales of diesel cars have dropped significantly in 2017, with 30% less cars sold as a result of increasing awareness of the pollution caused by diesel engine emissions. Meanwhile, electric car sales increased by 37%. UK electric car sales could overtake diesels by the middle of 2019, according to the UK's Energy and Climate Intelligence Unit. However, there is a long way to go before electric cars become the norm. There are around 32 million cars in the UK and only about 120,000 are pure electric vehicles at the moment. 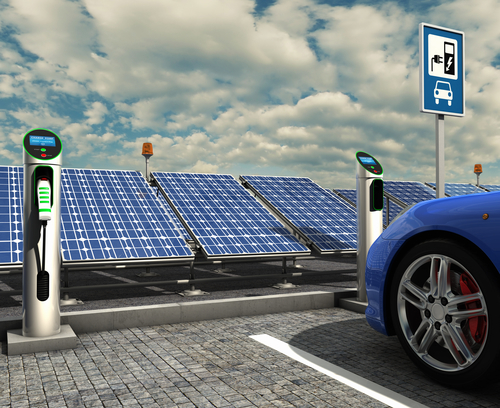 With a £200M boost to electric vehicle charging infrastructure pledged by the UK government in November 2017, improved public electric vehicle charging points will likely lead to more motorists choosing to make the switch to electric vehicles in coming years. The case for switching to electric cars is becoming increasingly convincing. Owning and driving one reduces an individual’s carbon emissions considerably and it’s obvious that in the future, personal transport will be electric. There are barriers to widespread adoption at the moment, but in the next few years, those barriers will get smaller. More manufacturers will begin developing electric and electric-petrol hybrid vehicles, more charging stations (both public and private) will be installed and improvements to battery technology will continue to reduce charging times and increase the range between charges for electric cars. So whilst many of us will be using fossil fuel powered cars for a decade or more to come, increasing numbers of us will be making a switch to an electric vehicle as the 2030s draw nearer.